cutest cutest sweater I've EVER seen. 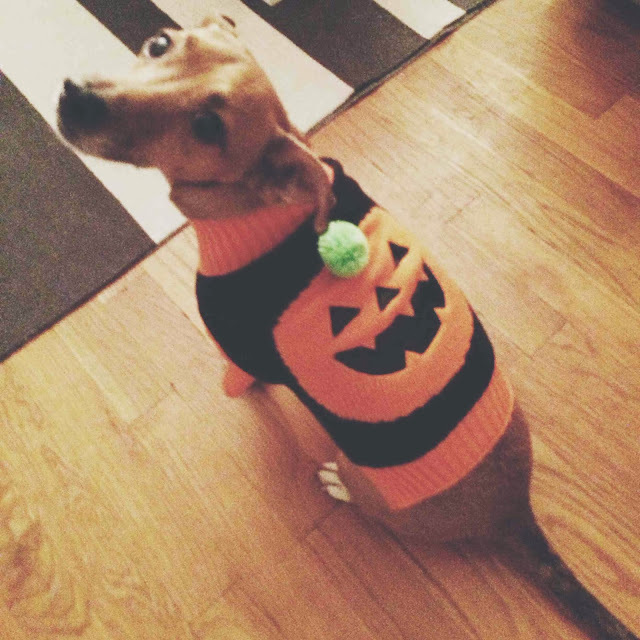 Happy halloween to you and Toby! Toby pictures always make me smile! Aw glad we could make you smile! Oooh this is the cutest! I love dog sweaters- what a cute pup! I die. SO glad I am following the tobster on instagram now!!! Toby! He's like...what? Another picture mom??!! Haha.